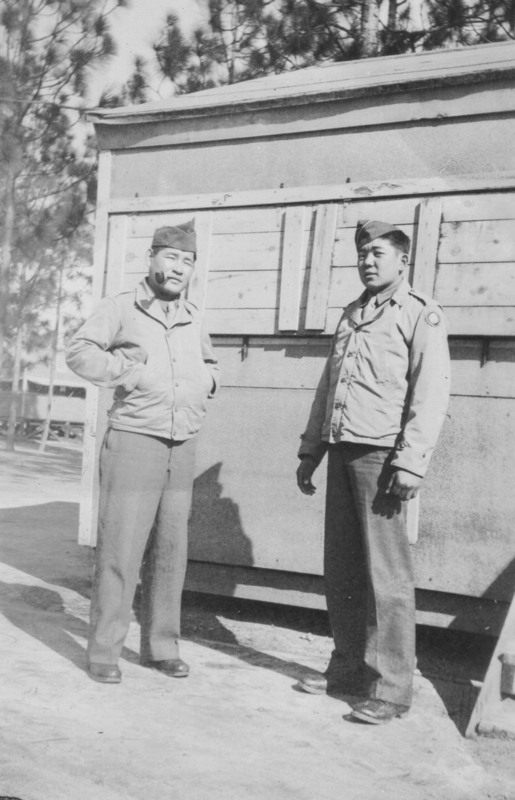 The 1399th Engineer Construction Battalion was an all Japanese American military unit stationed in Hawaii during World War II. 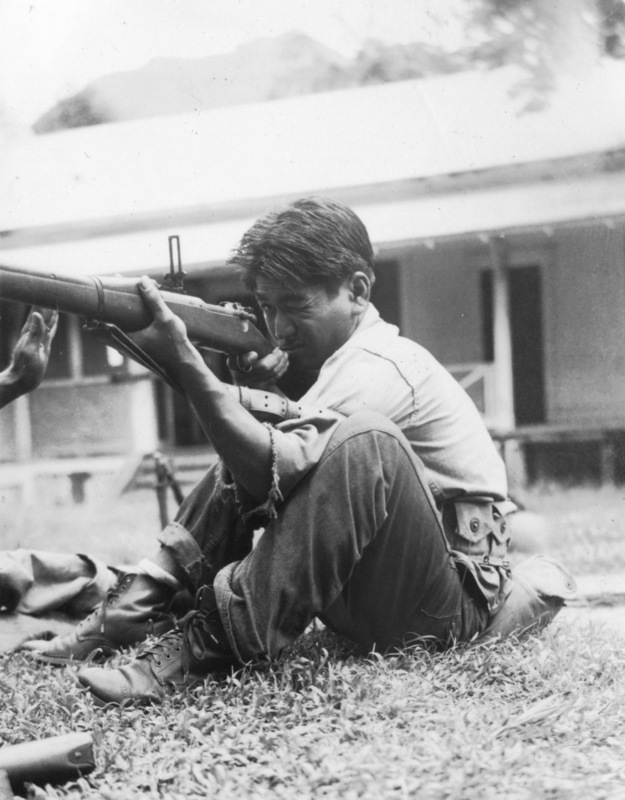 It was the only unit of its kind to serve in the Pacific war against Japan. 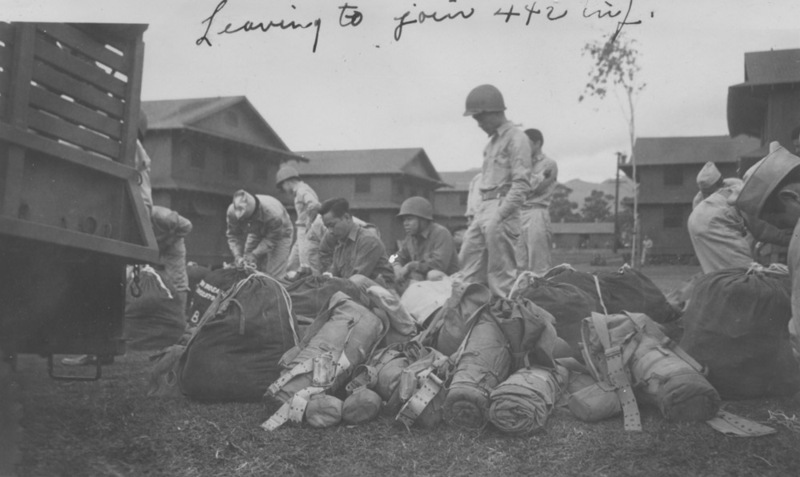 The 1399th was activated at Schofield Barracks on Oahu on April 26, 1944. 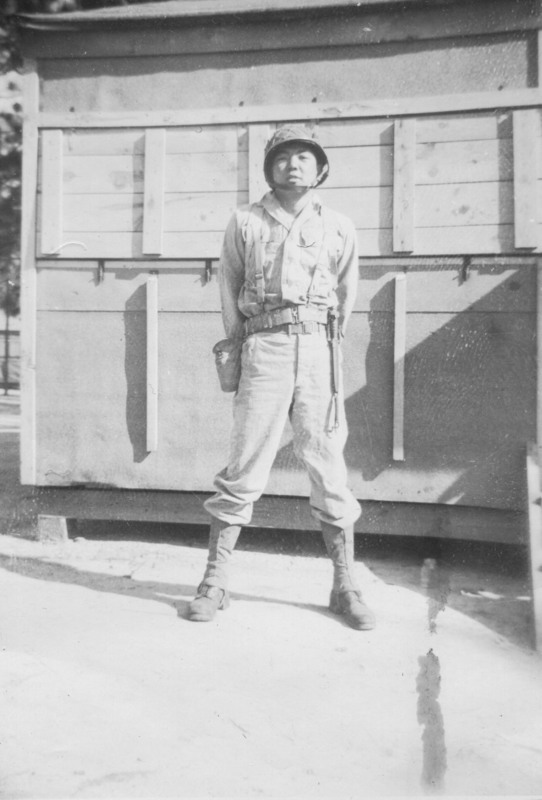 It consisted of Japanese American soldiers from a number of companies: the prewar 395th Quartermaster Battalion, 370th Engineer Battalion, 1536th Dump Truck Company, and 1525th Base Equipment Company, as well as draftees from the April through August 1944 drafts. 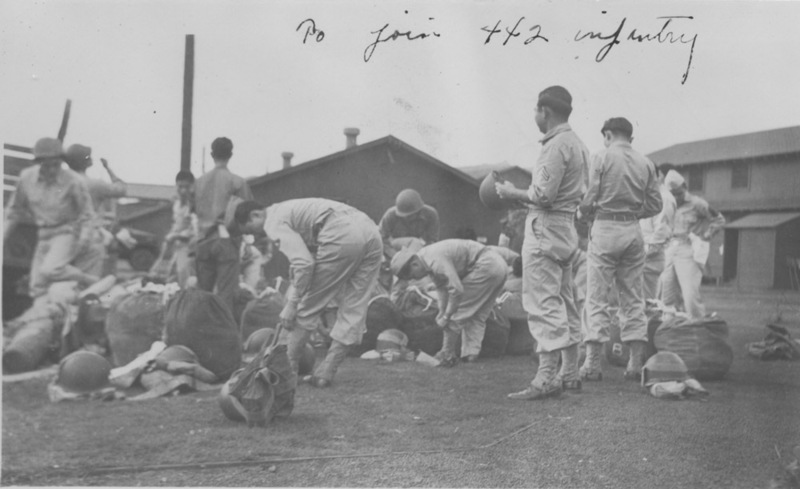 The 1399th rose to its peak strength of 993 men in November 1944. 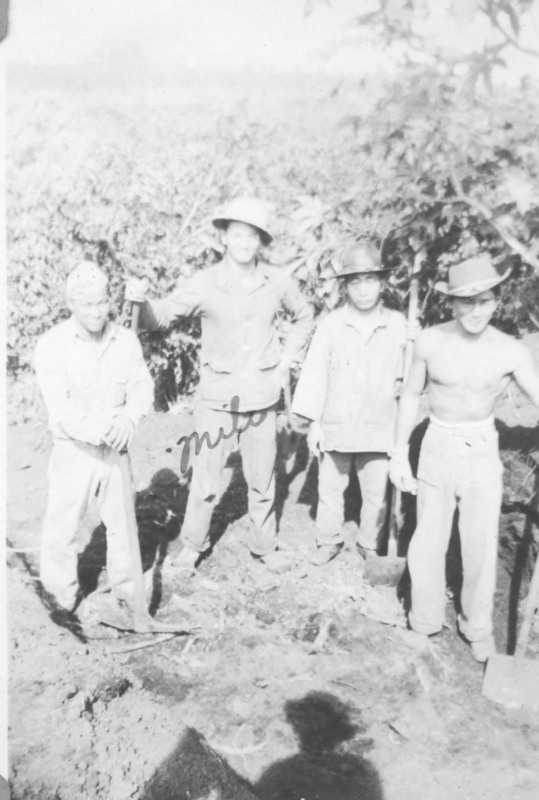 Throughout the war, the 1399th and its predecessor units constructed vital military defense installations on the island of Oahu. 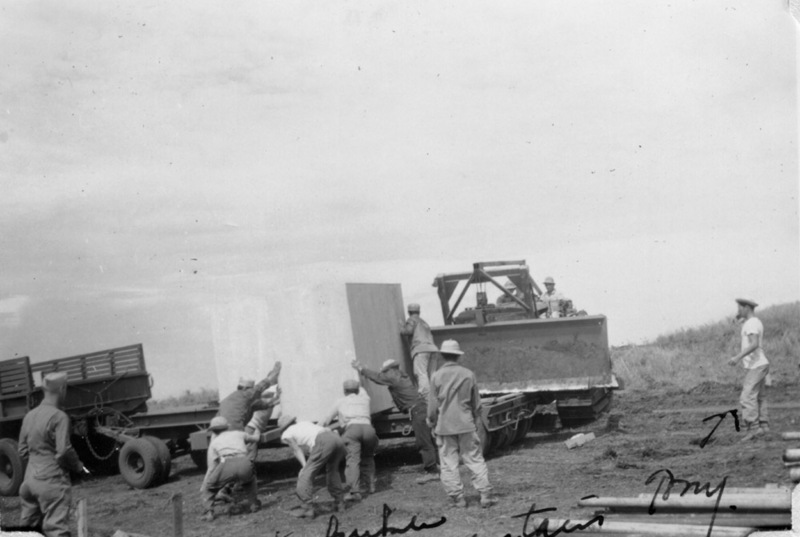 The 1399th completed more than fifty-four major defense projects, including construction of a million-gallon water tank in Wahiawa that is still in use, jungle-training villages, artillery emplacements, ammunition storage pits, water systems, warehouses, the Flying Fortress airfield at Kahuku, auxiliary roads in the mountains, rest and recreation camps, bridge repairs, rock quarry operations, and other military defense facilities. 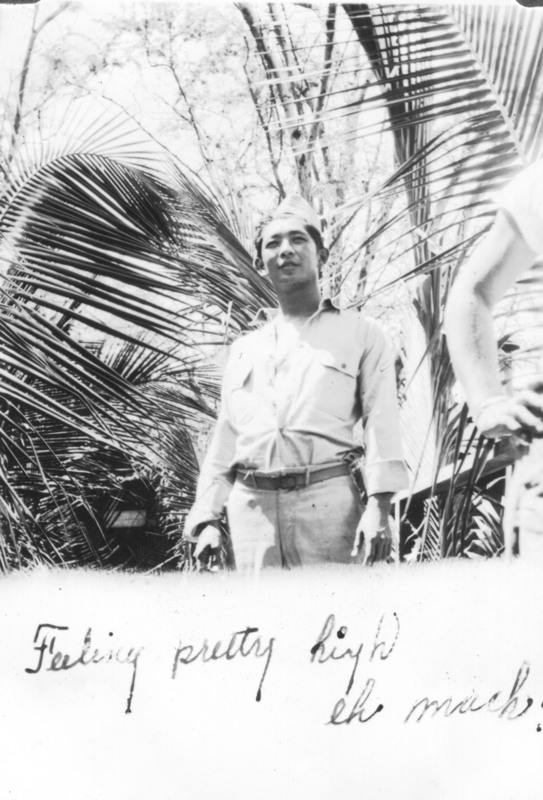 General Douglas MacArthur twice requested that the 1399th be assigned to the Philippines. 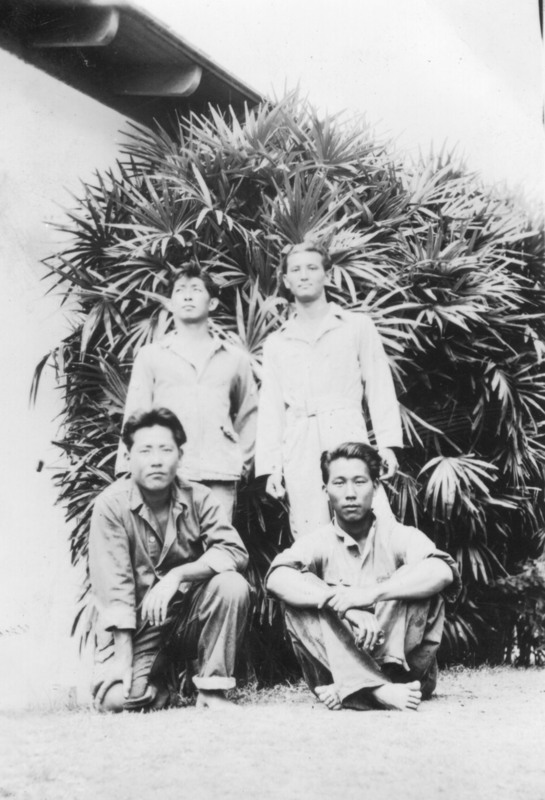 However, the War Department considered them essential to the defense of Hawaii and refused to put them in direct conflict with the Japanese enemy. 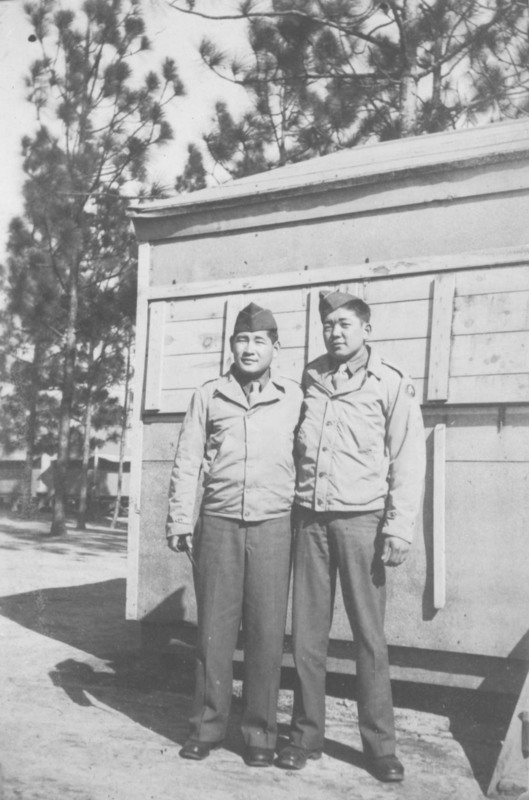 In recognition of its contributions and sterling service, the 1399th Engineer Construction Battalion was presented the Meritorious Service Award in October 1945. 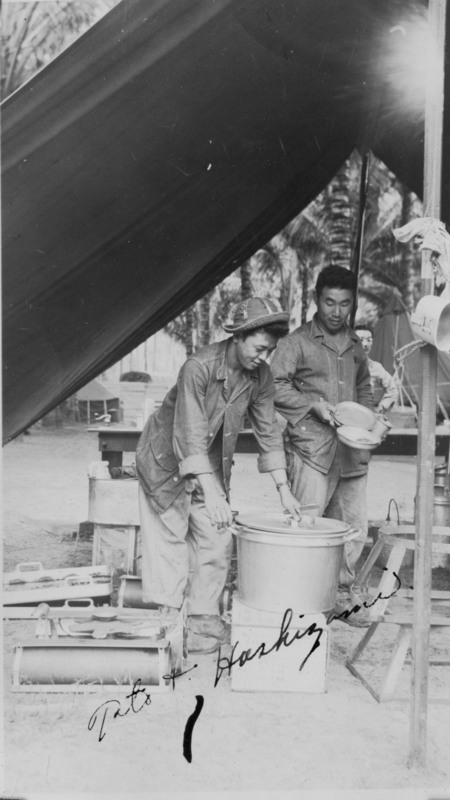 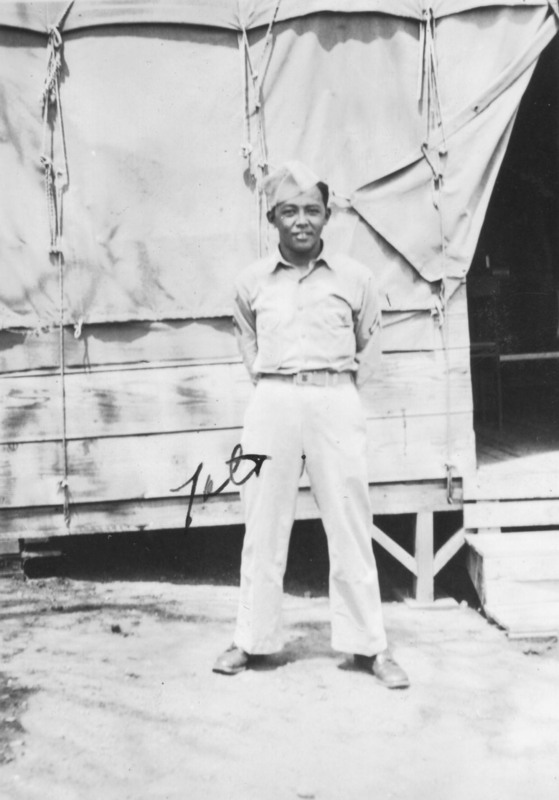 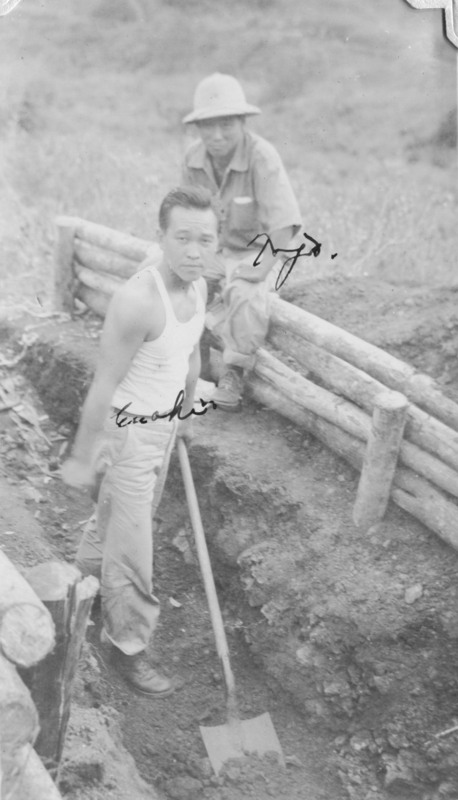 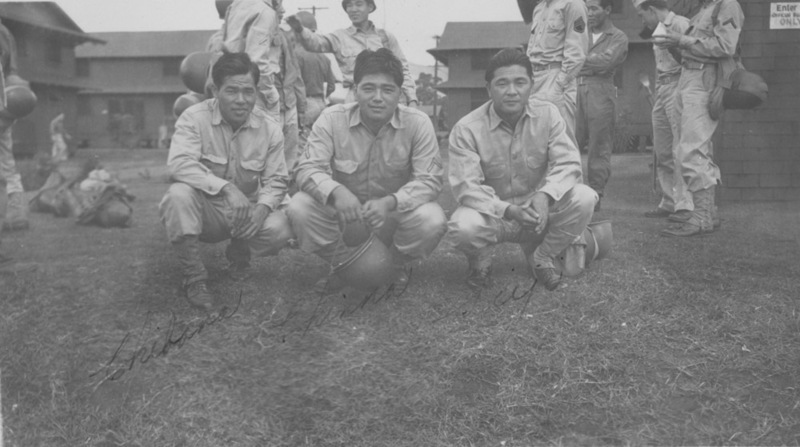 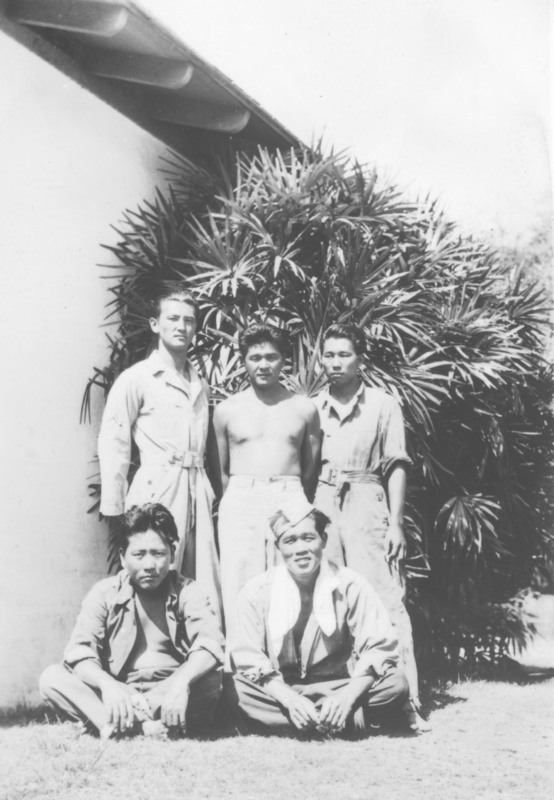 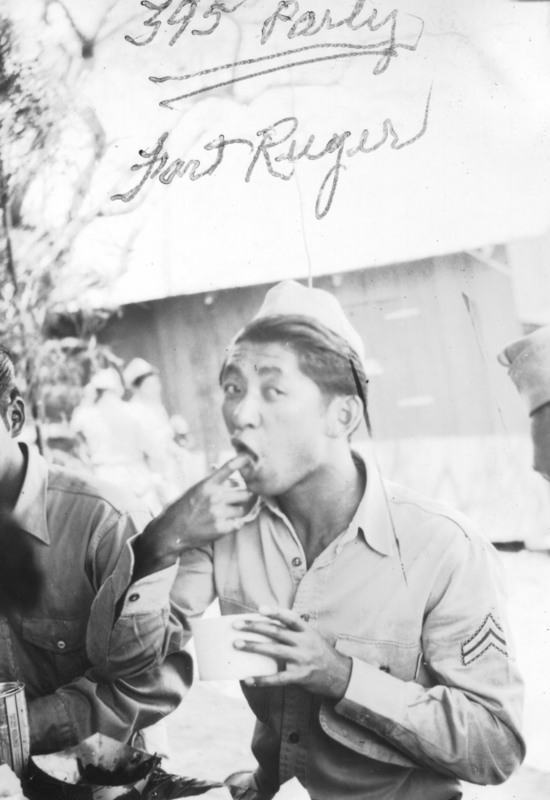 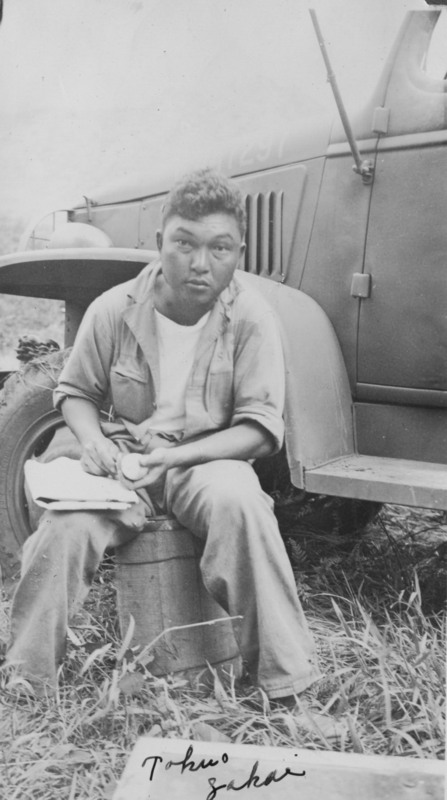 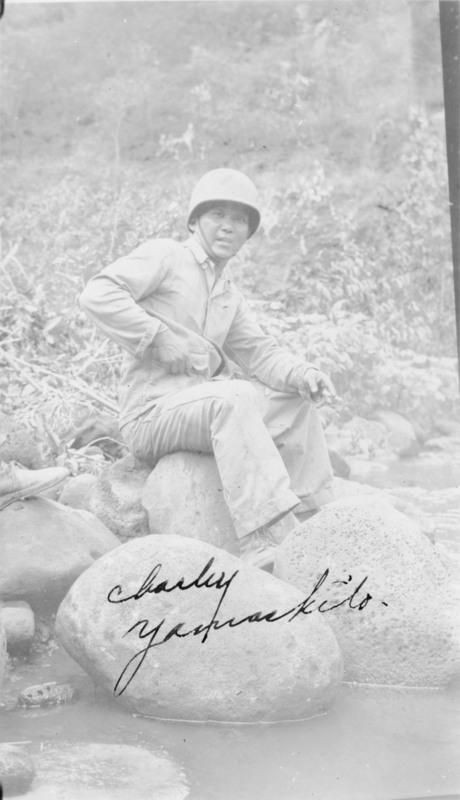 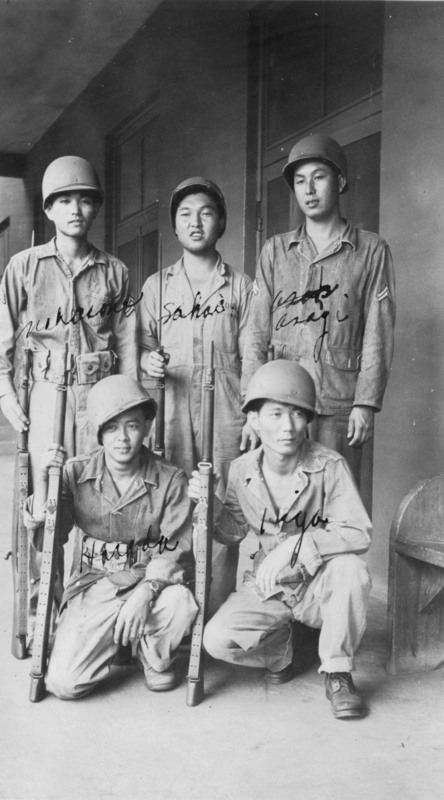 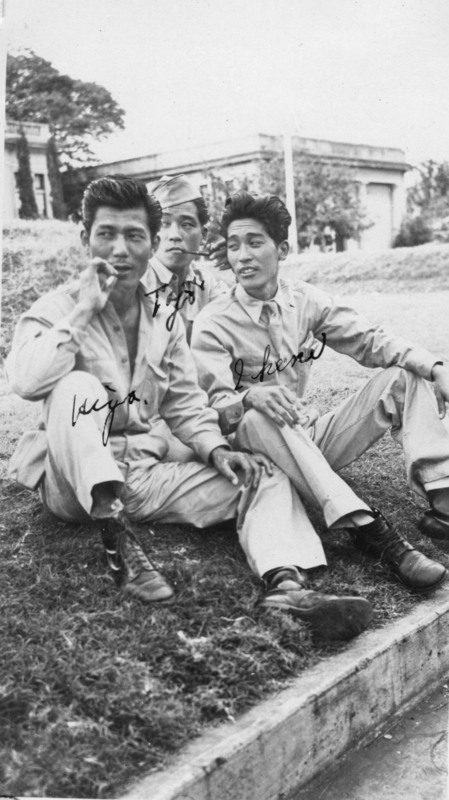 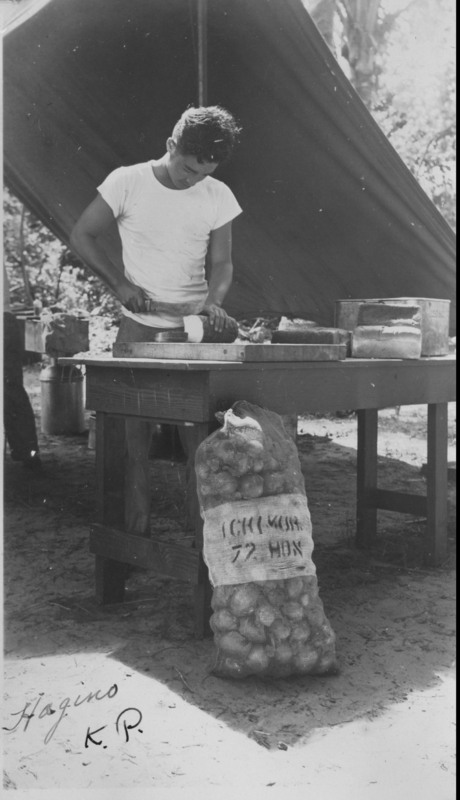 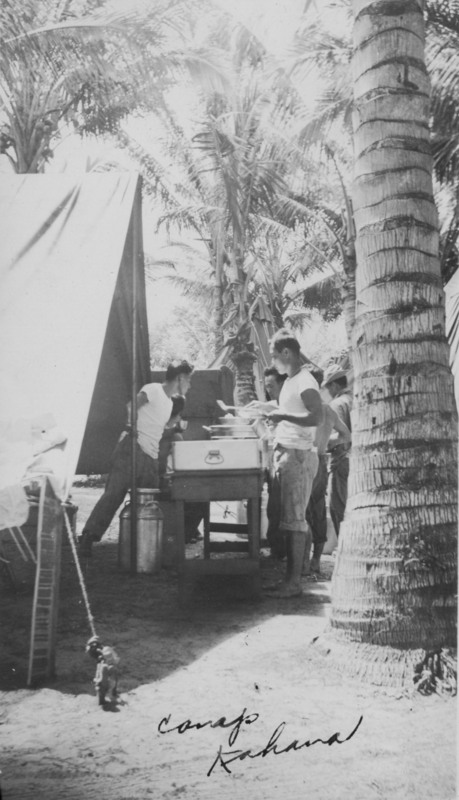 Always standing in the shadows of the other Japanese American combat units, the 1399th Engineer Construction Battalion, know as the “Chowhounds,” truly earned its reputation as the unsung heroes of the Hawaii front during World War II. 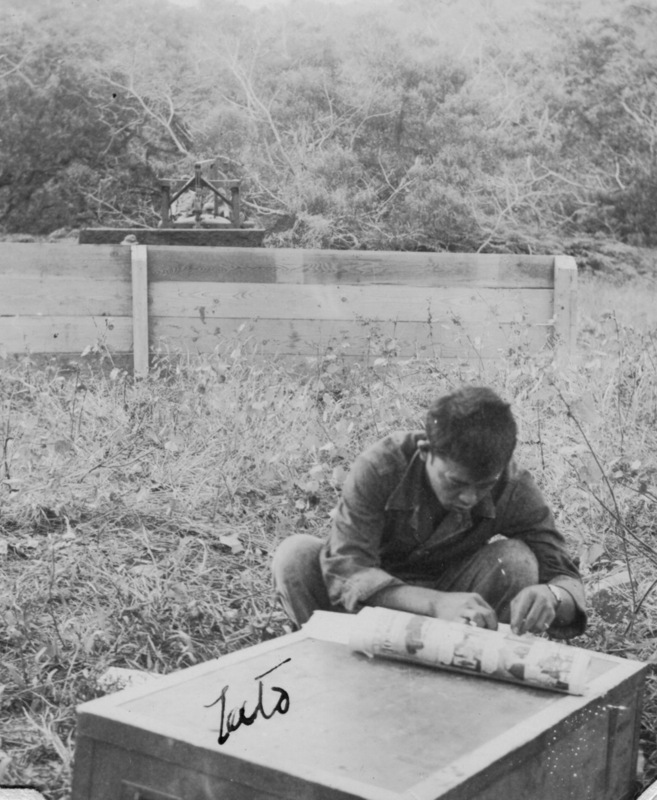 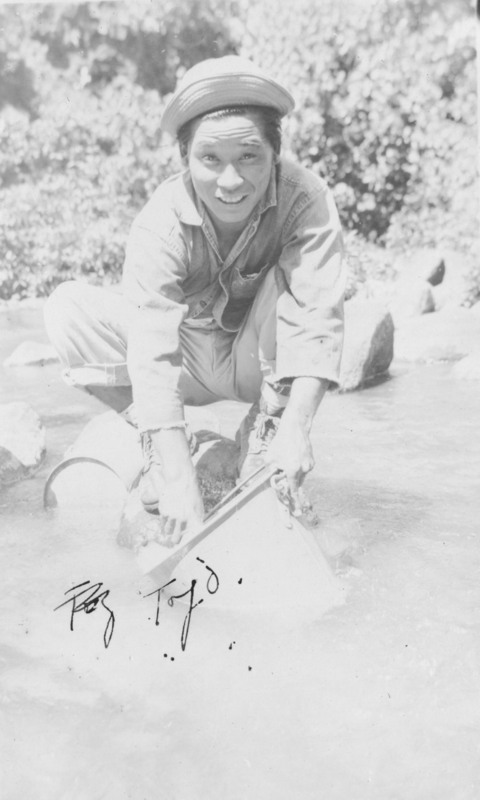 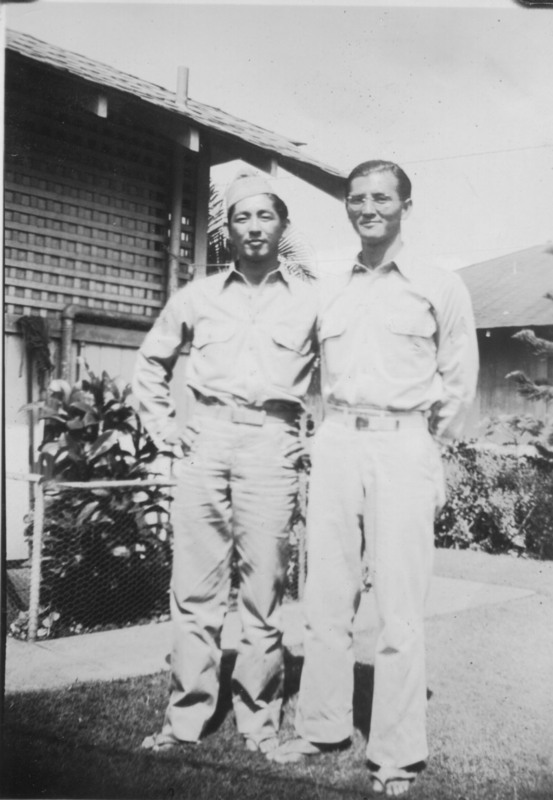 This article appeared in “Japanese Eyes, American Hearts, Personal Reflections of Hawaii’s World War II Nisei Soldiers,” which was published in 1998 by the Tendai Educational Foundation. 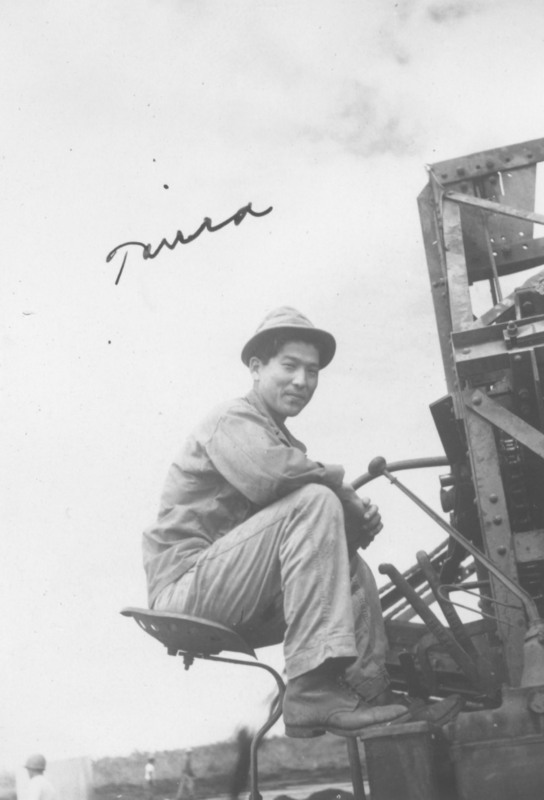 Permission to use it has been granted by the Foundation’s Hawaii Nikkei History Editorial Board. 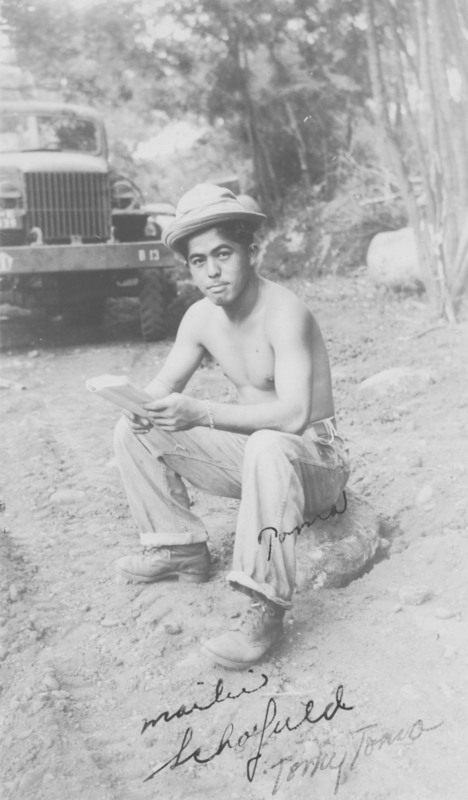 Edward (Eddie) Seiichi Kishinami was born in 1916 on the island of Oahu in the plantation village of Waialua. 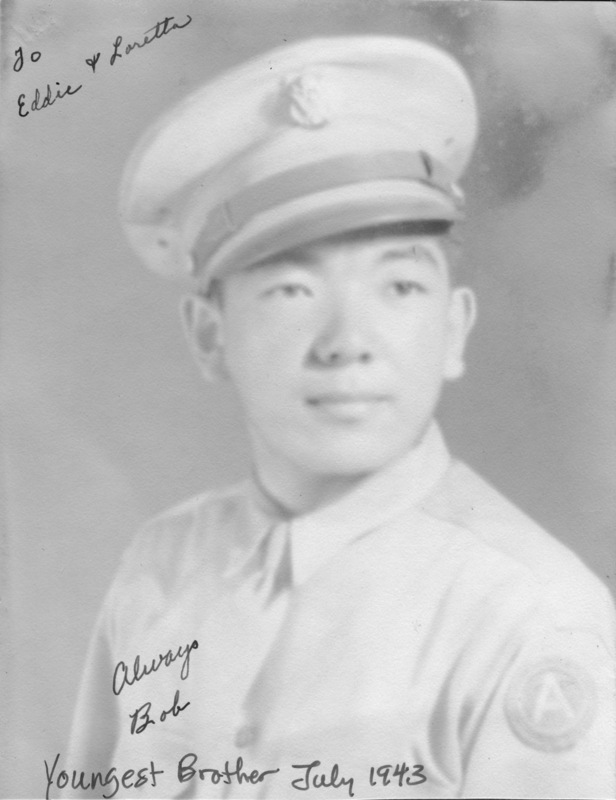 The fifth child of Kiso and Kemon Kishinami from Fukushima, Japan, he grew up in Waialua and Haliewa and attended school until he was 13 years old. 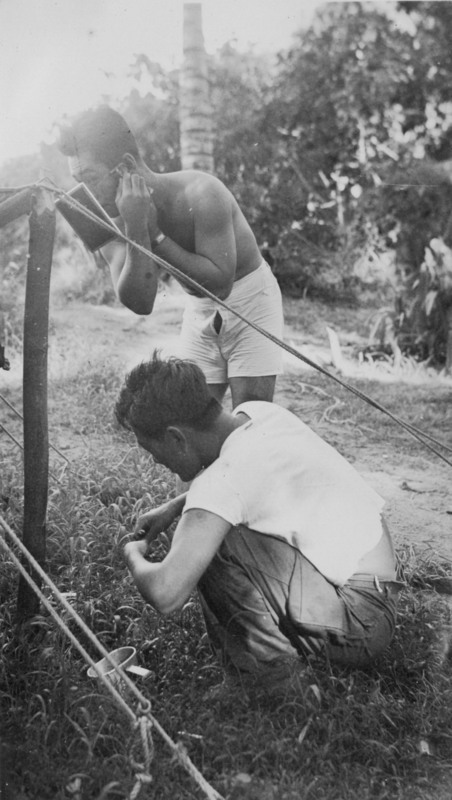 At 14, he started working in the pineapple fields. 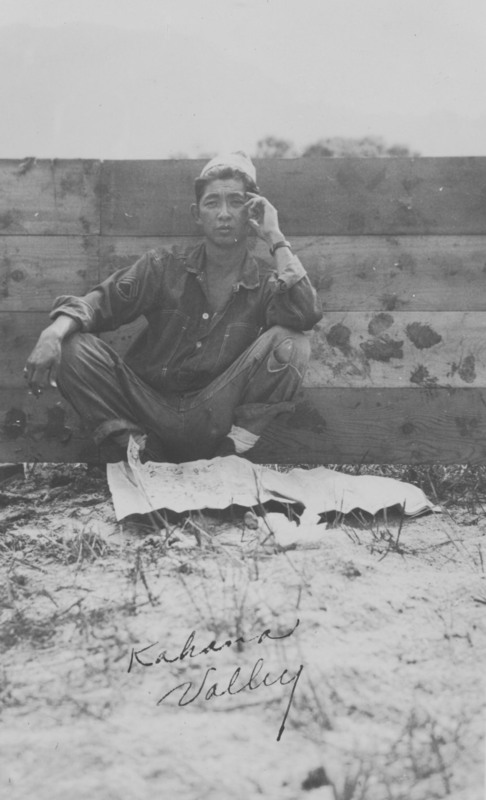 Kishinami devoted a lot of time to the sport of judo, eventually earning a black belt and becoming a respected teacher at both Shobukan and Tenri Do-jos. 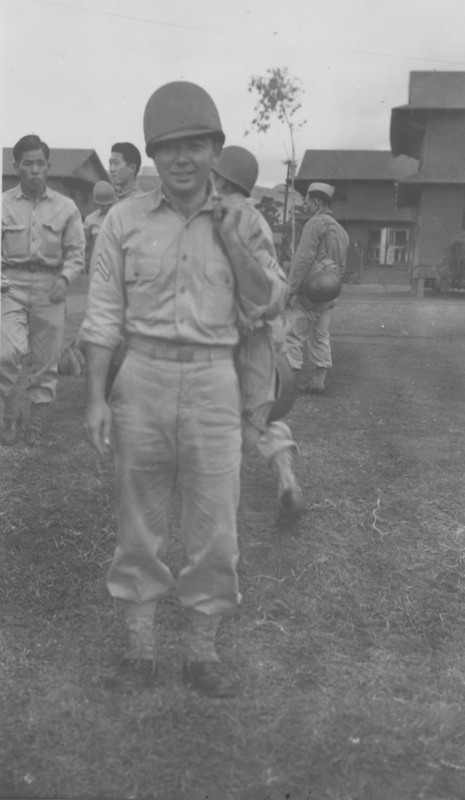 He felt judo added discipline and character and a sense of fellowship with other students. 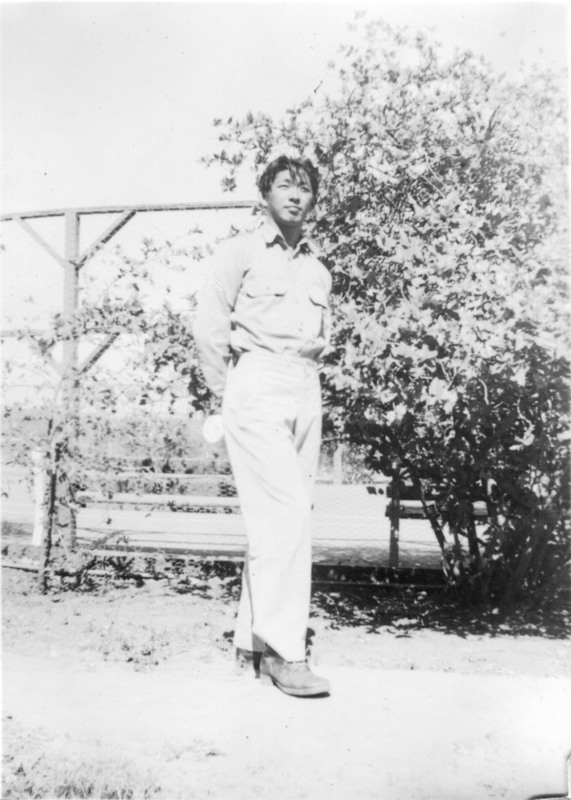 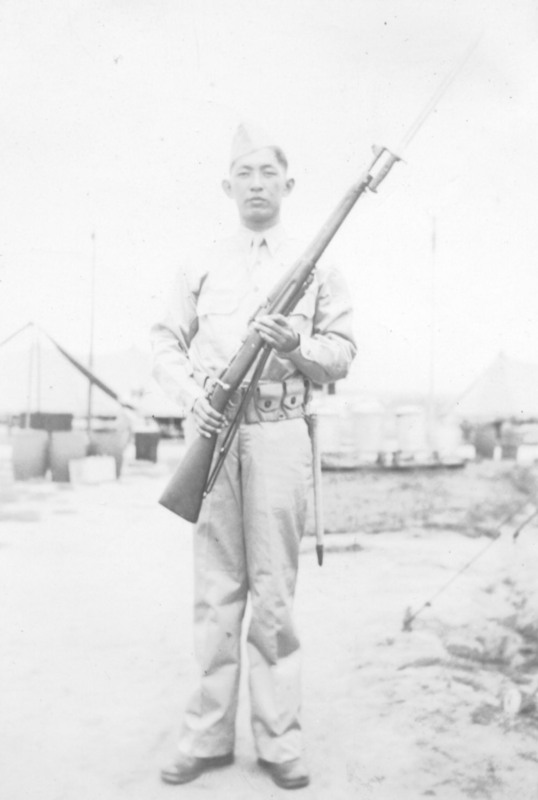 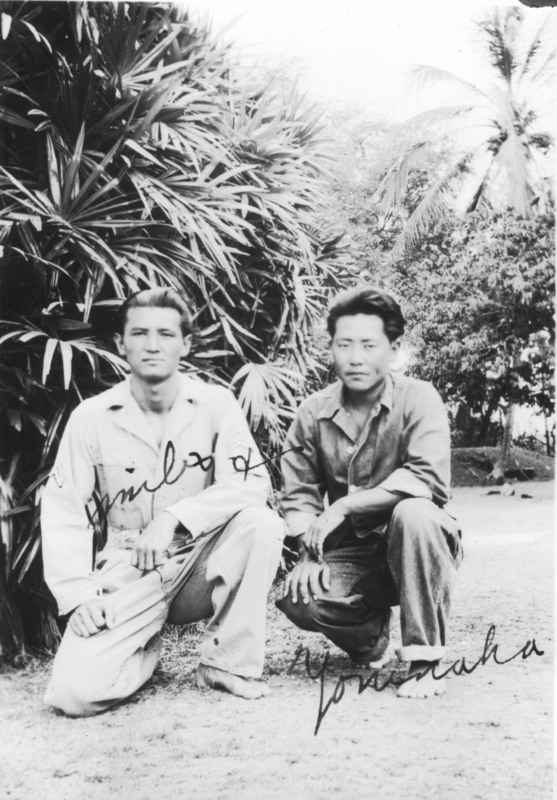 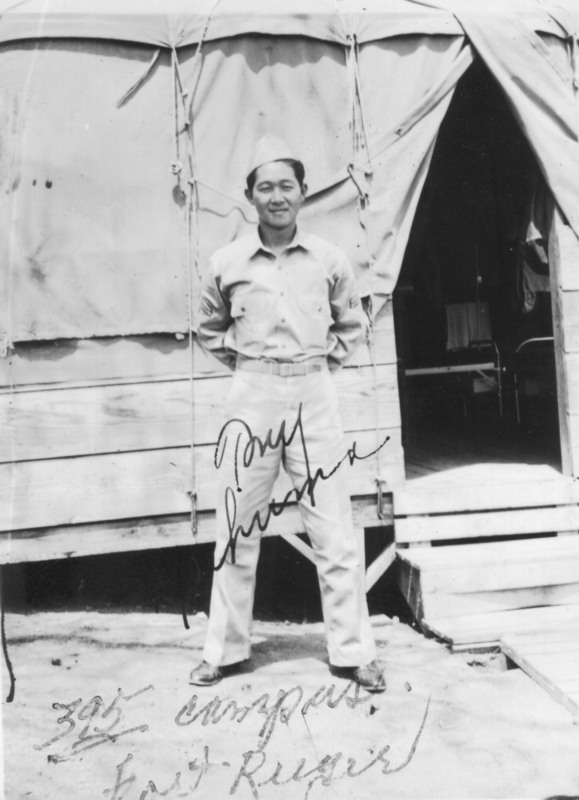 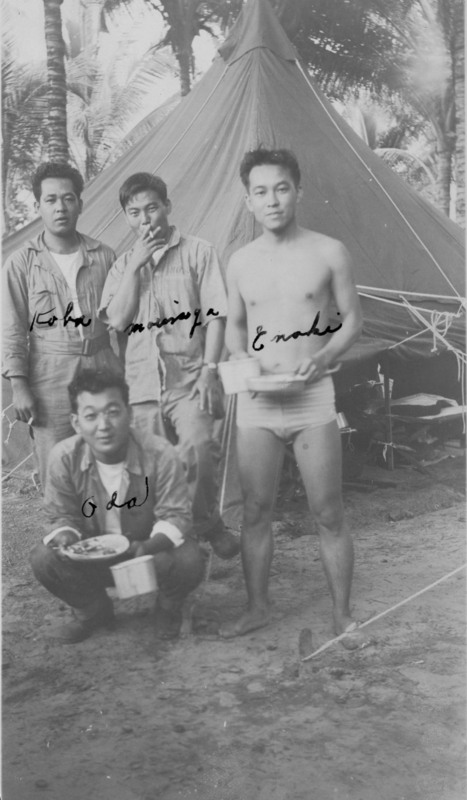 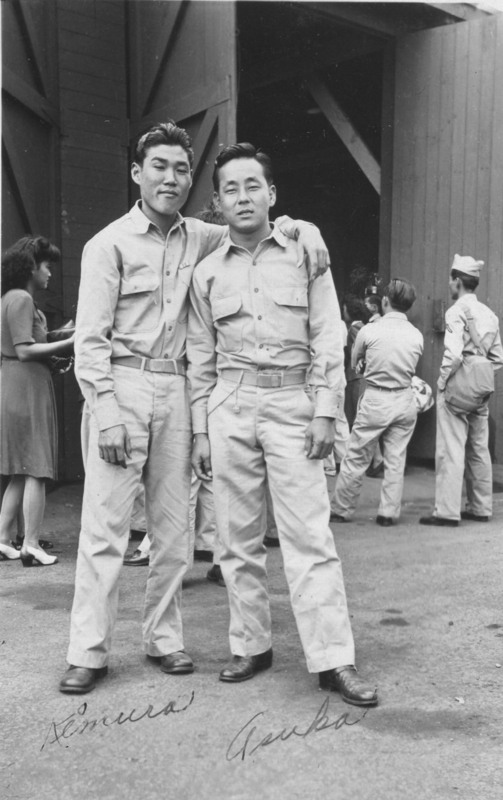 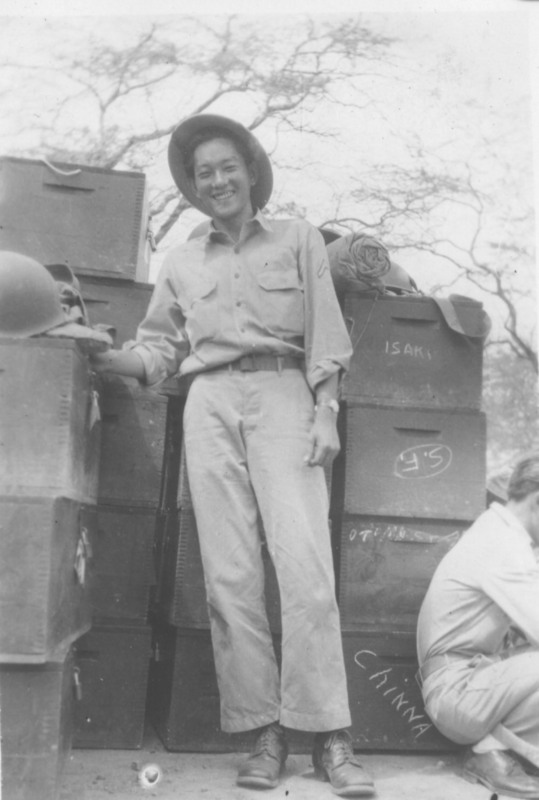 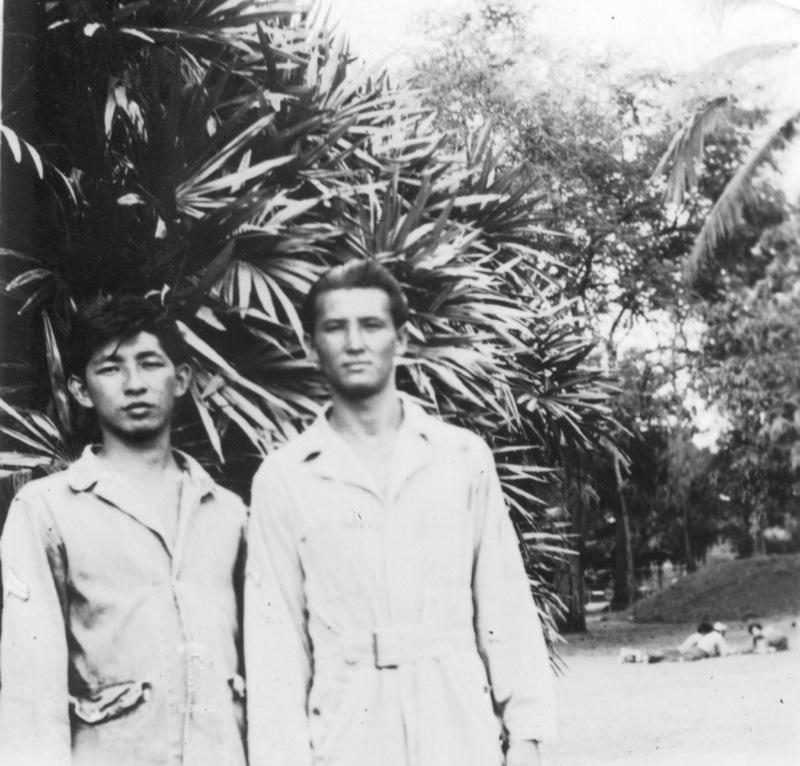 Kishinami joined the army in March 1941 and was stationed at Schofield Barracks, Oahu. 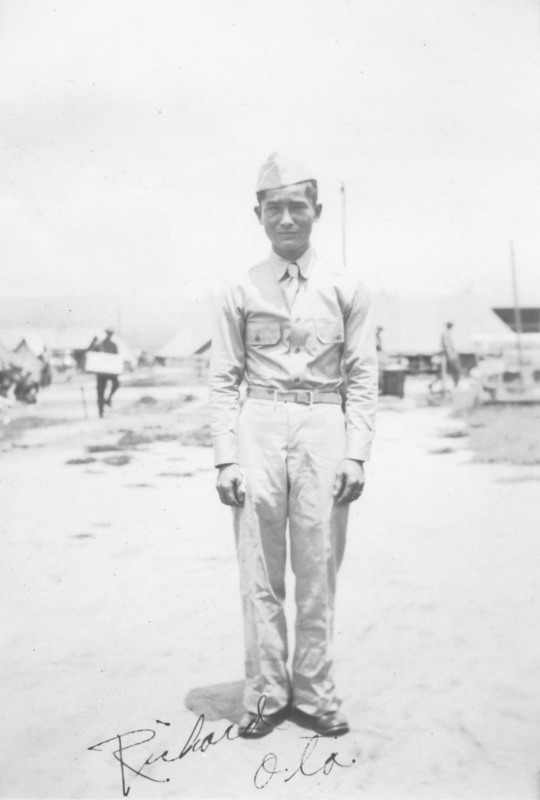 Rising to the rank of Master Sergeant, he worked on projects to protect Oahu’s shoreline during World War II. 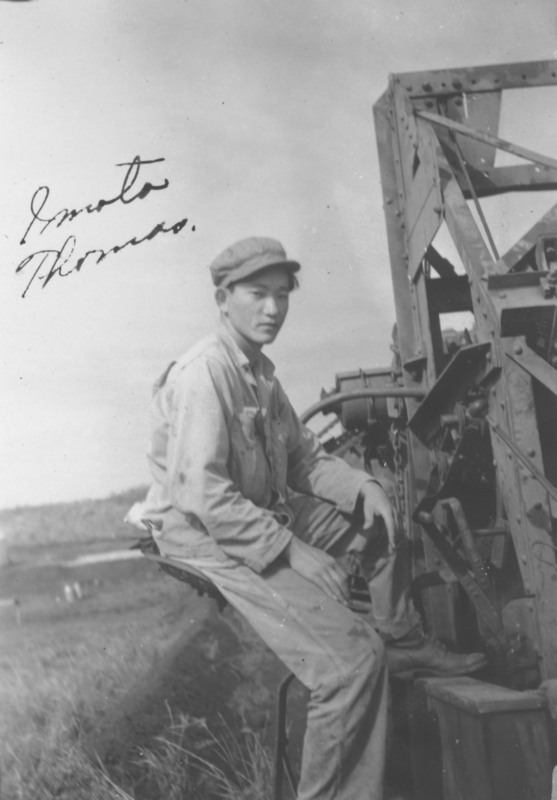 He married Loretta Tanaka in 1945; two years later their daughter Elaine was born. 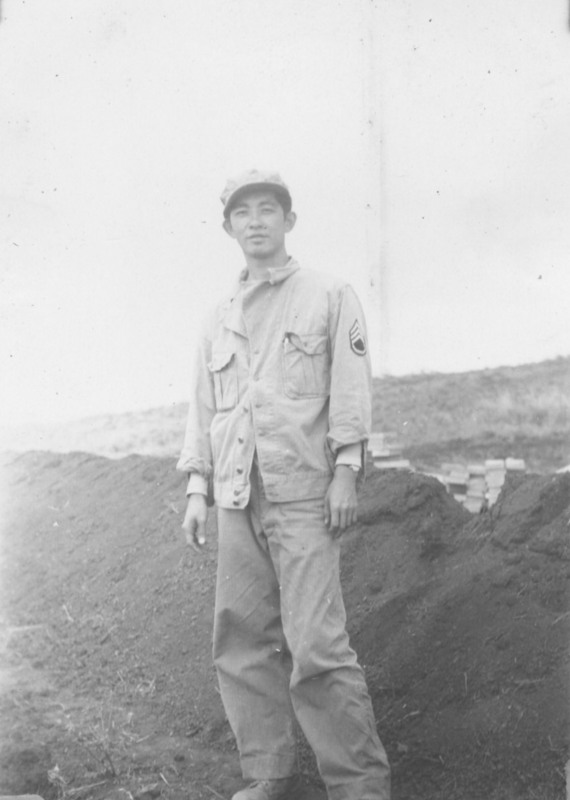 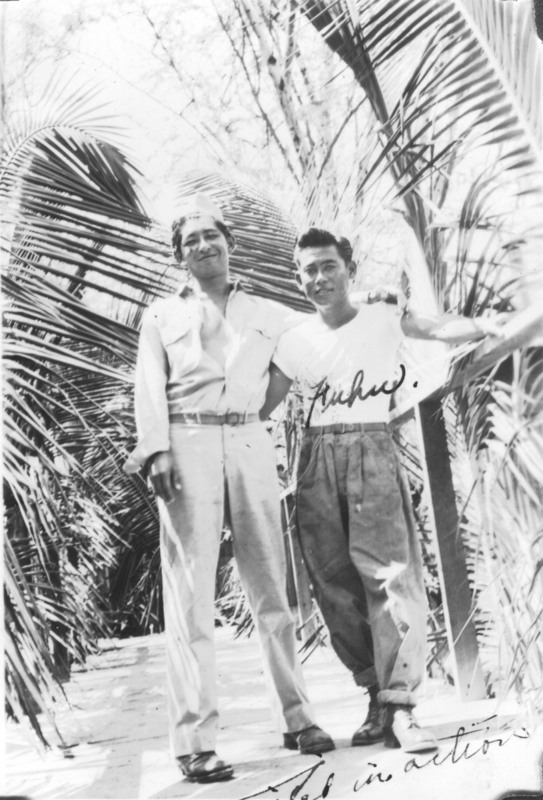 After the war, Kishinami worked as a tailor and then as a carpenter at the Pearl Harbor Naval Shipyard. 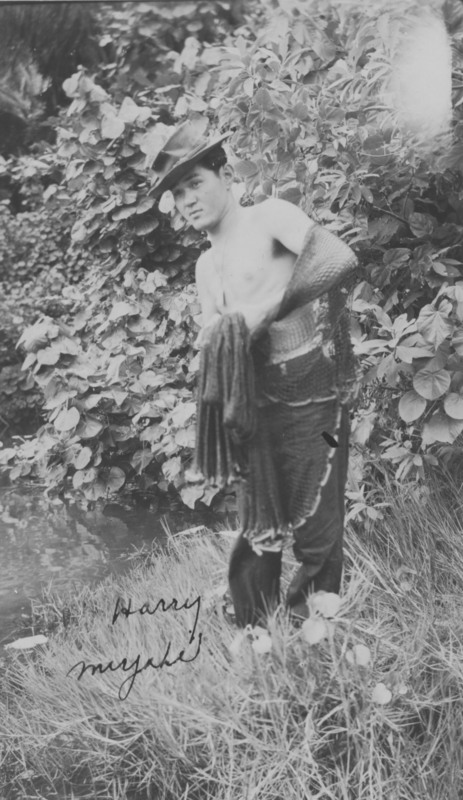 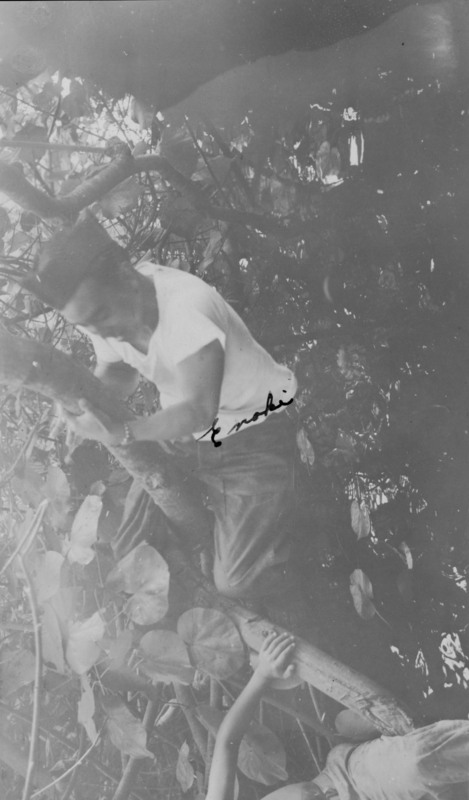 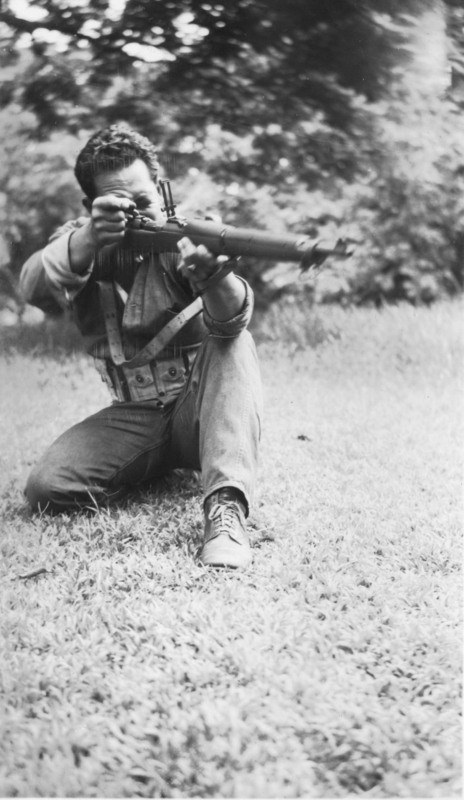 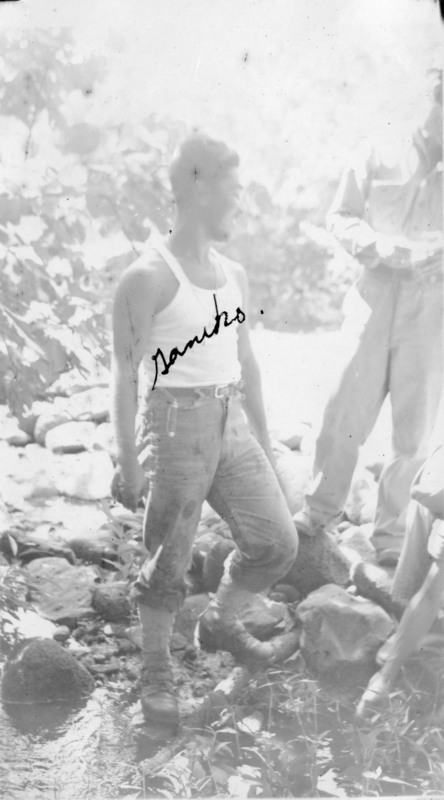 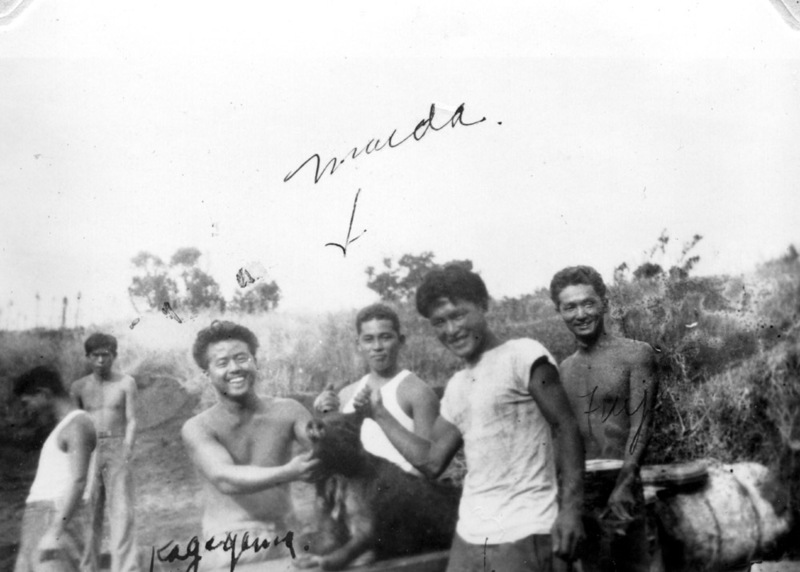 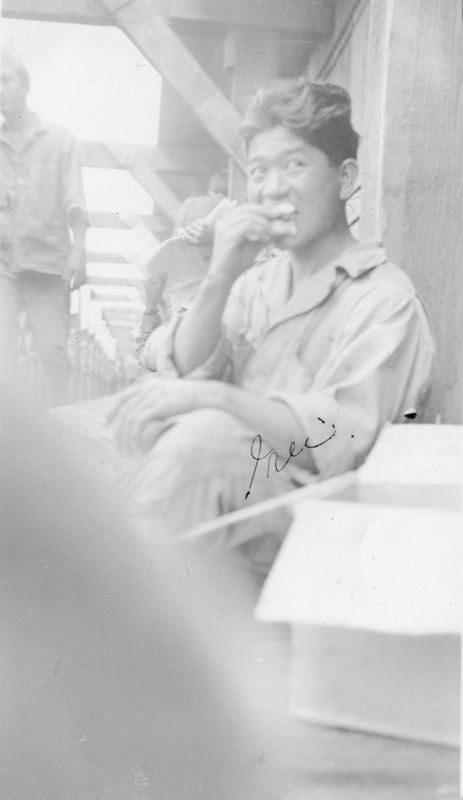 The following photographs from Kishinami’s album collection are valuable records of his comrades and this battalion which made important, but little known, contributions to the defense of Hawaii during World War II.